I have been playing with DHT11 for some time, only to find out that this sensor is a bad joke. I finally decided to upgrade to the DHT22, which is a magnitude better than the previously mentioned one. I wanted to be able to measure outside temperature and air humidity and use these readings in my heat-pump system. Currently I use “software only” approach, since I had no reliable humidity sensor available, but I’d rather have local readings. I decided to use a step-up version of the Funky sensor, because it provides stable 3.3V that the DHT22 needs. I based my code on Nathan’s DHT22 project, nothing fancy indeed. 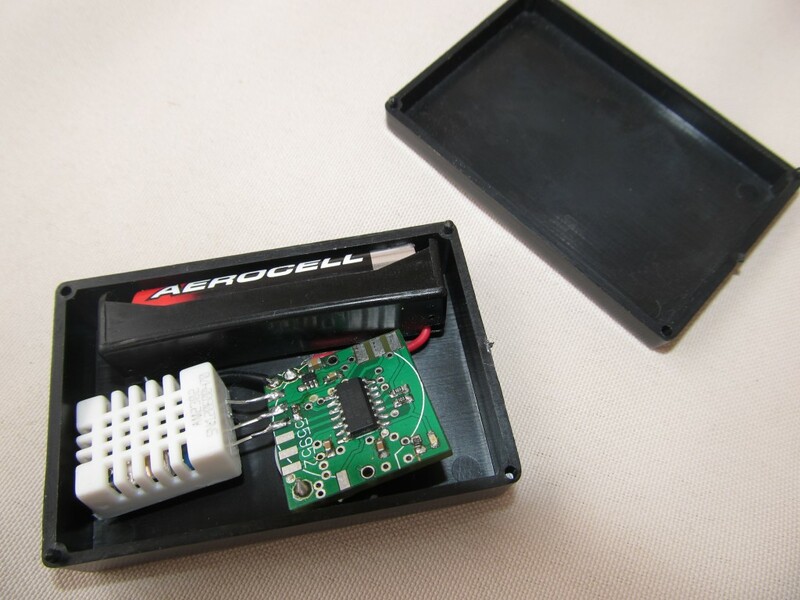 The whole project fits in a nice small plastic box and is powered by a single AAA battery. Should last for few months. Hey neat setup, should you poke a few holes for the air to get in? Where did you get the box enclosure? 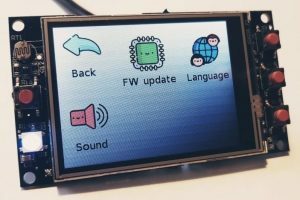 I’m looking for cheap enclosures for my projects! Thanks.